Obituary for Wayne A. Smith, Sr. | Thomas Funeral Home P.A. 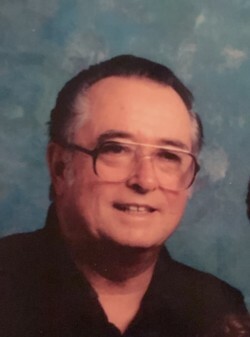 Wayne A. Smith, Sr., 81, of Cambridge passed away on Sunday, December 2, 2018 at his home. He was born in Cambridge on June 27, 1937 and was a son of the late William Alfred Smith and Cornelia Hubbard Smith. He graduated from Cambridge High School class of 1955. On July 6, 1963, he married the former Elaine Wheeler. He worked at Granville Hooper for 25 years. Mr. Smith enjoyed hunting, fishing, crabbing, and playing golf. He was a past member of the Cambridge Country Club. He is survived by his wife Elaine Smith, a son Wayne Smith, Jr. (Teresa) and their children Megan and Lauren, a daughter Lisa Baumgartner and husband Brian and their children Haley and Gabrielle “Brie” Baumgartner, two brothers Dennis Smith (Linda) and Gary Smith (Pat), a sister Gale Higgins (Ed) and several nieces and nephews. Besides his parents, Mr. Smith is preceded in death by his brother William A. Smith. Pallbearers will be Gary Smith, Brian Baumgartner, Leonard Hubbard, Jr., Jeff Keyes, Bill Shertenlieb, and Rick Der. A funeral service will be held on Friday, December 7, 2018 at 1 pm at Thomas Funeral Home, P.A. in Cambridge with Pastor Bill Cropper officiating. Interment will follow at Dorchester Memorial Park. Family will receive friends one hour prior to the service. Memorial contributions can be made to the American Heart Association, 4217 Park Place Court, Glen Allen, VA 23060 or to St. Jude Children’s Research Hospital.